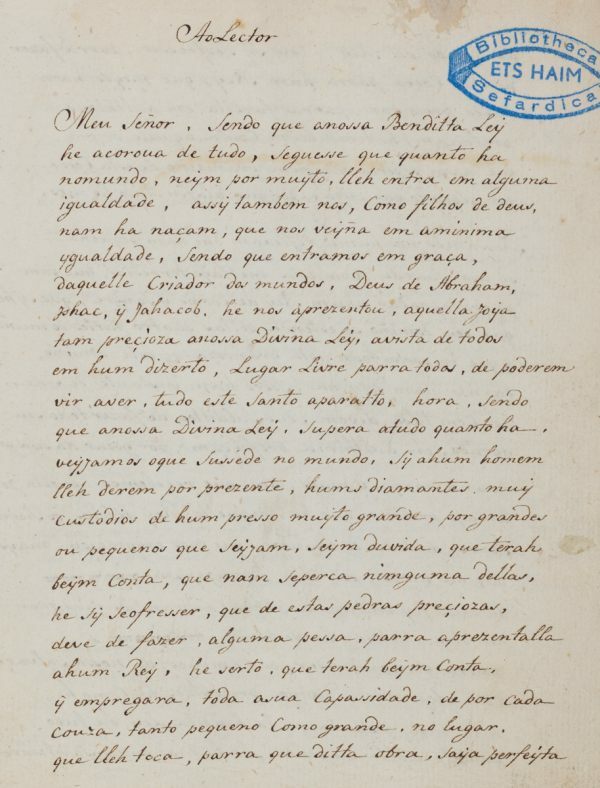 The author is most probably Eliau Monteyro, because the handwriting is identical with that of EH 48 D 19 and EH 48 D 44. Sermon on the problem of mispronunciation of some Hebrew words in Jewish prayers and how that could change their meaning and purpose. Portuguese and some Hebrew quotations / Paper / 19,7 x 15,8 cm. /  ff. (first and last l. torn out) / Variety of lines to a page / Current Iberian writing with Hebrew quotations in square unvocalised writing / No titlepage / Hebrew running title on top of each page / 18th century half-leather binding. Fuks 21. Fundação Calouste Gulbenkian.